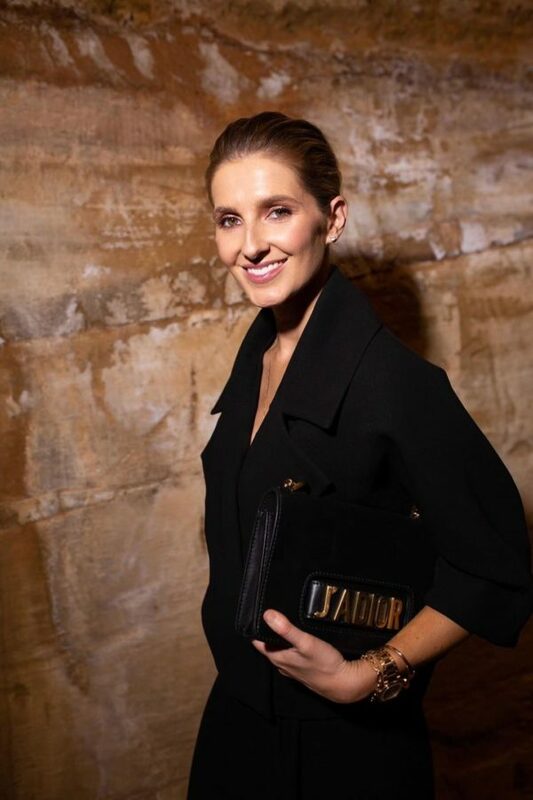 It’s always fun getting a sneak peek of what’s up ahead when it comes to the season ahead and David Jones is always such a great show to watch because it stocks so many of my favourite Aussie and international brands. The runway show was held at The Void in MONA and as it was quite a cavernous stone structure and we were previewing Autumn Winter 19 looks, the vibe of the night really lended itself to dark and moody colours. Enter the perfect modern suit by Bianca Spender. 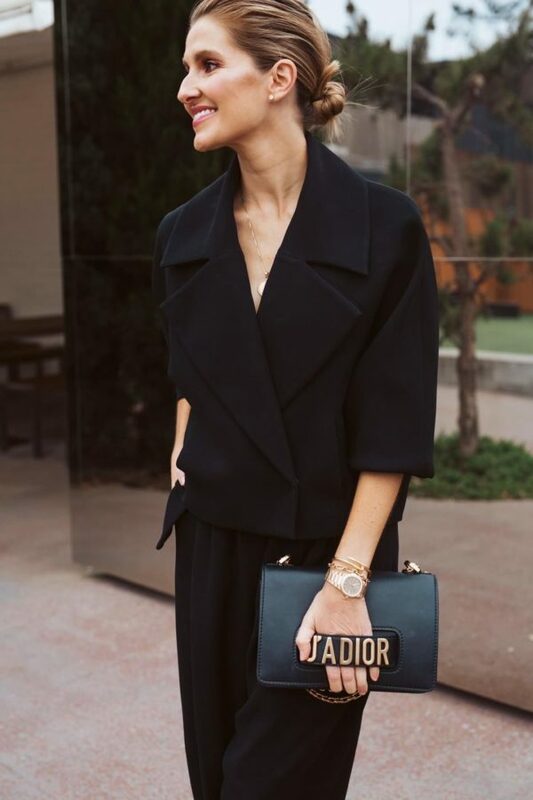 I don’t think you can ever really go wrong with classic black but I liked the modern silhouette of the cropped coat worked back with tapered pants. My accessories were simple and classic with a few subtle gold accents to add a luxe feel to my outfit. 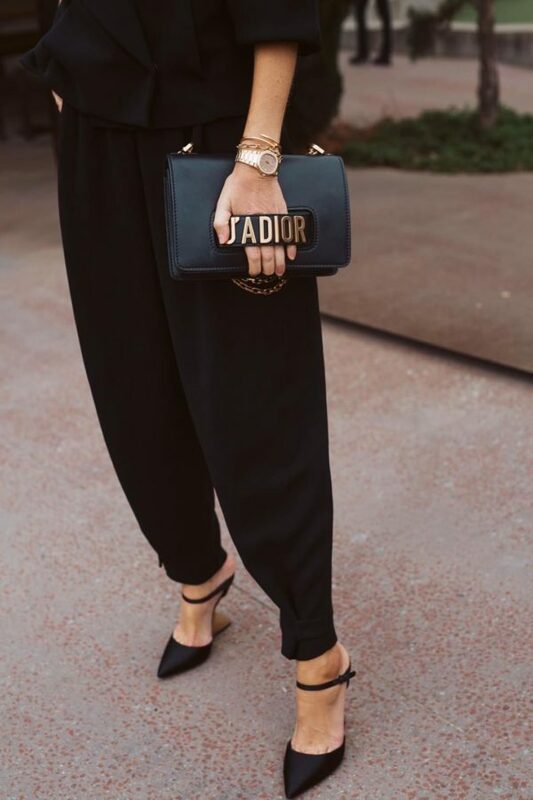 My go-to black bag at the moment is a Dior bag with a gold chain strap and name plating — it’s a great size for events and features a hand strap so it’s handy for carrying at functions. I think the suit worked beautifully with my Salvatore Ferragamo mules. The shape of the shoe with its gold wedge heel added a modern, almost futuristic touch to the rest of my look and is always a focal point whenever I wear them.